Houses in multiple occupation (HMOs) are homes which are shared between at least three tenants who are not related, and who share basic amenities such as a kitchen or bathroom. As a landlord of an HMO, there are very specific fire safety responsibilities you must adhere to, but did you also know you have certain responsibilities concerning the security of the property? Security at home is a basic right for any tenant. Under the Homes (Fitness for Habitation) Act 2018, any property that cannot be secured against unauthorised entry would be considered a breach of the legislation, which could lead to action being taken against the landlord. 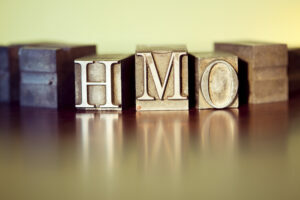 It is therefore incredibly important that you get things right when it comes to HMO security. Let’s take a look at how you can do just that. Properties let in a shared capacity present different security risks from standard homes. With an HMO, not only must you provide security of an adequate nature for the overall property, you must also provide a safe method for tenants to be able to access common areas such as hallways, landings and kitchens, without threat of unauthorised entry by unwanted visitors. One of the greatest issues in an HMO is the potential for unauthorised duplication of keys. The solution is a registered key system using restricted security keys. These are suitable for all types of lock. Patented for up to 20 years, the keys cannot be duplicated without an order signed by a stipulated signatory. Restricted key systems can be suited, also known as ‘keyed alike’. This means they can be used to open groups of doors, so for example the entryway to the garden as well as the front door and any other common areas that require restricted access. This offers a great deal of convenience to the HMO tenant who will now only need minimal keys. High security locks are a must, because individual tenants do not necessarily have full control over all the entryways to the property. For the ultimate protection choose a high security lock combined with a high security or restricted key system. Different types of doors call for different types of locks, so be sure to take professional advice from a Master Locksmiths Association accredited expert. It is crucial to be aware that in an HMO, main entrance doors MUST NOT be fitted with a lock operated by a key on the inside, otherwise residents would be able to lock each other out. Communal doors must have the ability to open from the inside with a single keyless action. Door closers must be in good working order, otherwise the lock may fail to engage. Entrance doors in HMOs usually have to be fitted with automatic deadlocking rim night latches or mortice sash locks that comply with British Standard 8621. These locks have turn knobs on the inside rather than a key lock. A letterbox hood or reflector, or a security grille fitted to the back of a glazed door panel, will prevent an uninvited caller accessing the turn knob. Ideally, older entrance doors should be replaced with models certificated to PAS 24:2012. These consist of a multipoint lock with a thumb turn and handle. For even greater fire safety and security, choose a multipoint locking door that automatically throws the bolts as soon as the door closes. Windows can be a weak point, which is why window locks are vital in an HMO. The best locks will snap shut on closing the windows, so that tenants do not have to consciously remember to lock them. Be sure to educate tenants in the importance of keeping accessible windows shut and locked during the night or when they are away from the property. Accessible windows include those on ground floors, or those located over a flat roof for example. Some windows have secondary locking points built in so they can be left slightly open and locked into place without allowing enough room for access, which is helpful during hot summer nights. Sliding sash windows can be fitted with lockable sash stops for a ventilation gap if necessary. A visitor access system is highly beneficial in an HMO. Digital door viewers and CCTV provide the means to verify that a visitor is genuine before granting them access. Access control systems can also be used to restrict access to common areas. Biometric entry systems allow tenants to access the parts of the property they have permission to be in. These use fingerprint or iris recognition. Smart, keypad or fob entry systems work in the same way, just with different methods of activation. CCTV offers the added benefit of providing valuable recorded evidence in the event of a break-in, and may even uncover ‘inside jobs’ where valuables have been going missing without any evidence of outside entry. When a property is occupied by a family, you only need to think about their safety and security as a single entity. So for example, you will take steps to ensure that final exit doors and windows are secure. However, with an HMO, each of the tenants must have his or her own level of security. You will therefore need to consider providing the ability for tenants to securely lock their own individual bedrooms. Bear in mind that tenant’s possessions – and their own personal safety – are potentially at a higher risk in an HMO because there is a greater margin for error in terms of unauthorised access. Whilst one tenant may be mindful of ensuring entryways to common areas are securely locked, another may not. In addition, there is the risk of one tenant allowing entry to someone claiming to be a visitor of another tenant, when in fact that ‘visitor’ is in fact an unauthorised intruder. Precisely why it is so important to follow the guidance on common area security that we’ve already discussed. But it is also vital to make sure that tenants are protected on an individual basis. Choice of locks for individual bedrooms is important. Lock bumping is a major problem, and the worst thing about it is that it leaves little or no evidence of how an intruder has gained entry. Locks in new housing developments are at particular risk because all the doors tend to use a similar cylinder. The solution to this problem is to fit bump-resistant locks. BSI Kitemarked or SS312 cylinders are resistant to bumping. If you want to fully reassure your tenants then be sure to have the locks installed by a Master Locksmiths Association accredited locksmith. HMOs are subject to a raft of safety legislation, so it is vital that the security advice you receive comes from an established authority on the subject. Barry Bros Security is a Master Locksmith Association approved security expert and regularly provides advice to residential letting agents and landlords of HMOs. We offer a tailored service backed by decades of specialist experience, so don’t hesitate to get in touch or call in to our London showroom for the advice you need to secure your HMO.